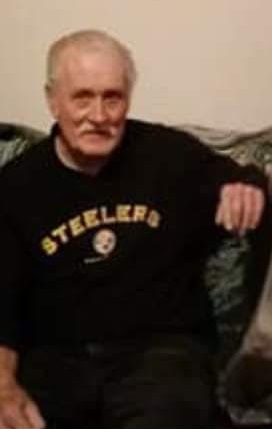 Barry Carl Tinkey, age 73, of Mechanicsburg, passed away peacefully with his wife by his side on Tuesday, August 7, 2018. Barry was born on Monday, March 19, 1945 in Fayette County to the late Carl Wilson Tinkey and Dorothy Mae (Harkcom) Tinkey. In addition to his parents, Barry is preceded in death by his brother, Larry Tinkey; and his sister, Audrey Trump. Barry’s survivors include his wife of 16 years, Barbara “Barb” Jane (Cassel) Spurlock Tinkey; his two children: Brian Frank of Lewisberry, Shelley Haines of Princess Anne, MD; his three stepchildren: Randy Spurlock and his wife, Kelly, of Bel Air, MD, Londall Spurlock and wife, Chris, of Mechanicsburg, Jodie Payton of Harrisburg; his 16 grandchildren; his two great-grandchildren; his sister, Dainette Ward and her husband, Frank, of Enola; several nieces and nephews; and his beloved canine companion, Diva. In earlier life, Barry worked as a carpenter and later he worked as a valet and bagger for Giant, in Camp Hill since the store opened. Barry loved being in the outdoors, especially hunting and fishing. He also enjoyed watching the Pittsburgh Steelers and auto racing on television. Barry’s family will be remembering his life privately. Cremation was private. Barry’s family has entrusted his care to Myers – Buhrig Funeral Home and Crematory in Mechanicsburg, (717) 766-3421. Read Barry’s full obituary and sign his official guest book at Buhrig.com.